Tagline: "You Are Not Alone"
I think we can safely say by now that Marvel's shared 'cinematic universe' of films has been a success so it was inevitable that DC would follow suit at some point. 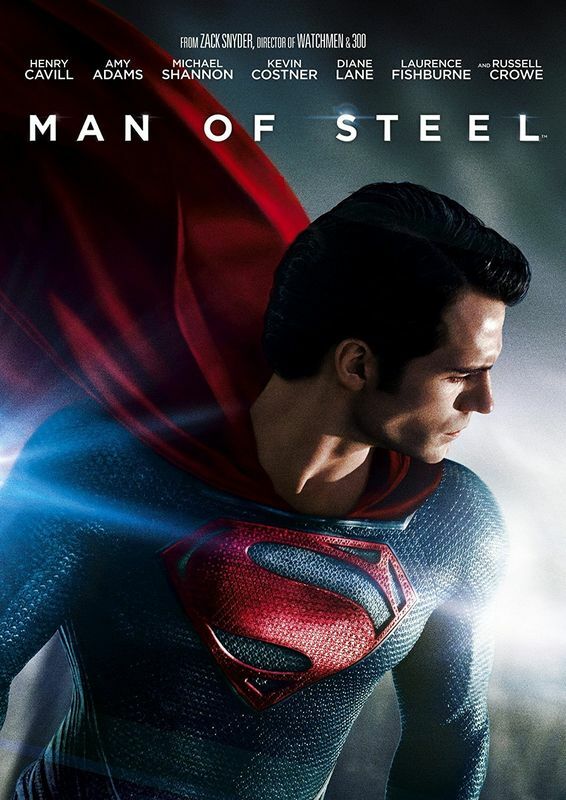 What I didn't realise at the time of its release, however, is that Man of Steel was the first of their own series. I had thought it simply (another) reboot of Superman but no, it was actually meant to be DC's equivalent of Iron Man - the one to get the ball rolling. To that end, it's an origins story in the truest sense of the word - the first since Christopher Reeve's film of 1978 if I'm not mistaken - and like that film it begins on the planet Krypton which is on the brink of annihilation. 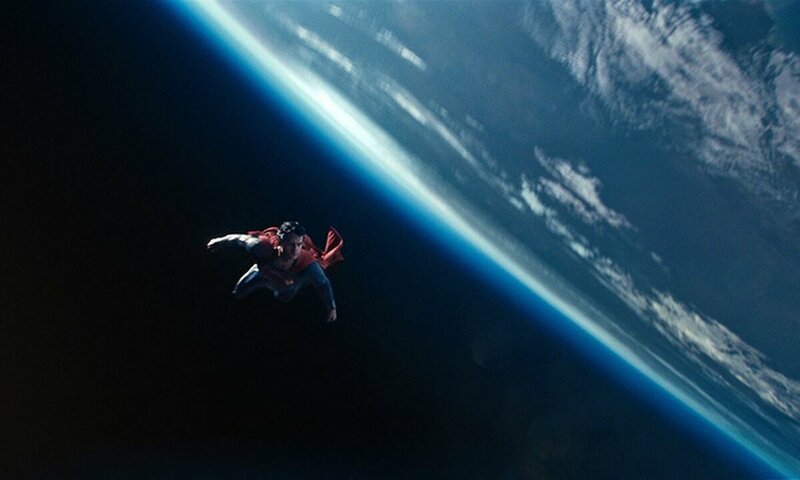 Shortly before it blows up in a highly spectacular fashion, Jor-El (Crowe), who for years had warned of the impending disaster, manages to launch his newborn son into space aboard a small craft. 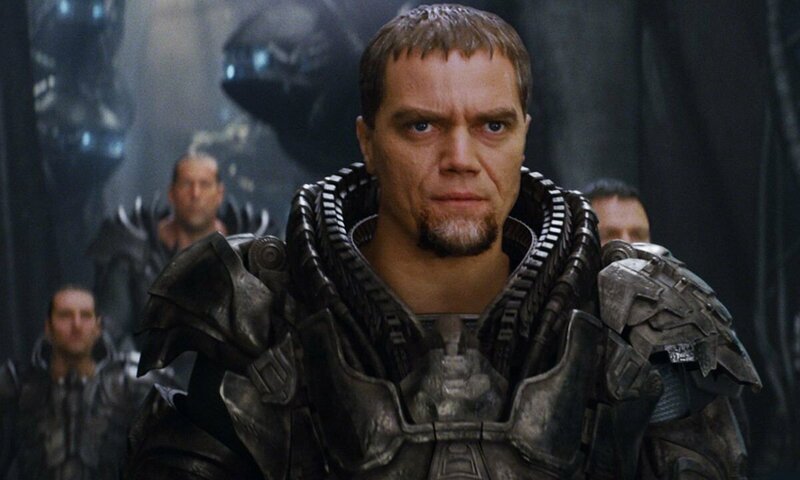 Attempting to stop him is General Zod (Shannon) who, along with some of his soldiers, launches an uprising. Quickly failing on both counts, Zod and his followers are exiled to the 'Phantom Zone' moments before Kryton explodes, leaving Jor-El's son Kal-El as the race's only survivor, along with the imprisoned Zod and friends. Kal's small spacecraft soon reaches its destination too - a splooshy planet known to its population of idiotic primates as Earth. I'm sure even non-comic fans know the story from here: his ship lands in rural Kansas, he's raised by Jonathan and Martha Kent who name him Clark, he ends up working in Metropolis as a reporter for the Daily Planet newspaper by day while protecting its inhabitants by night (and lunchbreaks) as Superman, he falls in love with fellow reporter Lois Lane, etc etc. What we don't often get to see, however, are the intervening years. These are explored in a little more detail here. We spend a little time with Clark as a kid, then again as a young adult prior to his career in journalism, and it's apparently during the latter that Zod and his crew manage to escape from the Phantom Zone. Their first port of call, presumably after having some breakfast and a quick shower, is unsurprisingly earth which they have plans to terraform and turn into New Krypton - a process that will have a less than agreeable effect on the existing inhabitants. This draws Superman out into the open for the first time, having previously spent his time moving around keeping himself to himself, and only acting occasionally. The people of earth are naturally surprised to find that an alien has been living among them but they don't have too much time to dwell on it. Indeed, it is quickly apparent that they must rely on the combined might of their new ally and their own military to put a stop to Zod's heinous plans. This basically makes Man of Steel a film of two very different halves - the first is slower and consists mostly of expositional scenes while the latter consists of little more than one big and very long fight between two practically unstoppable adversaries. Those non-comic fans I mentioned earlier include me, incidentally, so I really can't say how close anything here is to the source material, but I rather enjoyed the first half of the film. 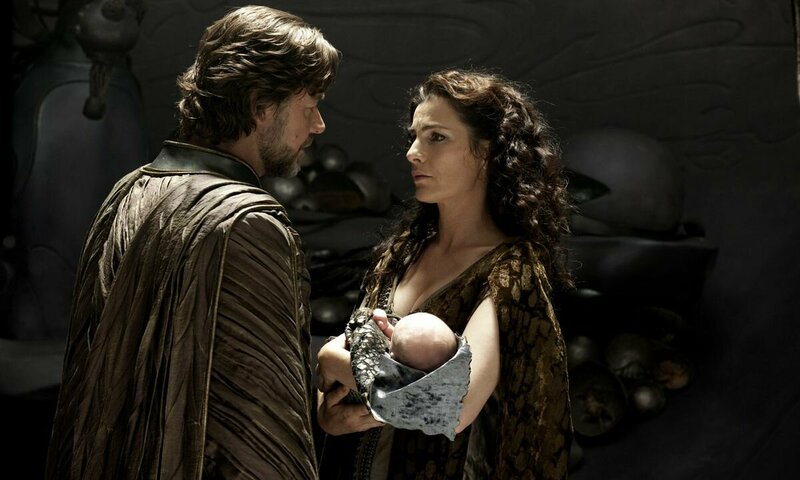 The portrayal of Krypton is superb, doing a great job of demonstrating how much more advanced the Kryptonians were whilst still flawed, and the glimpses of Clark's childhood and years of travelling around are intriguing as well. I also liked the casting. Cavill does well with both halves of a tricky character for me, although he does tend to look angry most of the time he's without his glasses. 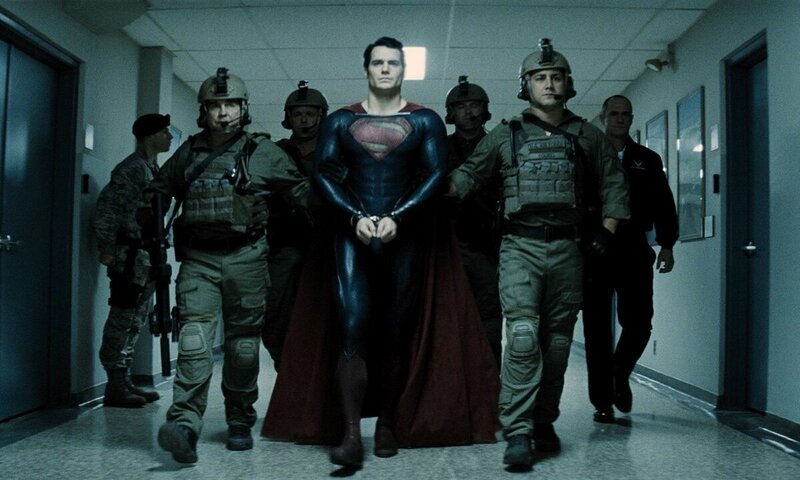 He's a better fit than Brandon Routh was in Superman Returns though. Likewise, Amy Adams makes for a more convincing Lois Lane than the previous incarnation. Neither were exactly helpless squealing girlies but she seems a little more driven and independent this time, and is more than capable of looking after herself. Besides, the presence of the lovely Ms. Adams is certainly no bad thing in any film! Fishburne and Shannon were also good choices for Daily Planet editor Perry White and the maniacal General Zod respectively, and the presence of Kevin Costner and Diane Lane as Clark's parents is more than welcome too. Russell Crowe was an unexpected choice for Kal El's father but, using his best General Maximus voice, he comes across as a wise and noble guardian, both in person at the start of the film and also as an interactive AI later on. 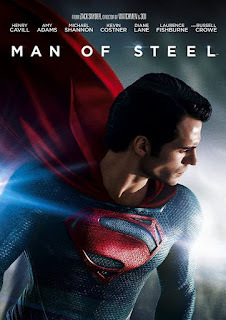 Most of the characters are nicely introduced as well, in a well-paced if slightly slow first half of the film, and I thought Man of Steel was shaping up very nicely upon my initial viewing. But then the tense build up to Zod's arrival was dashed when the gloves came off, and the film descended into an hour-plus non-stop destruct-o-thon, with Supes and Zod (and his various irksome cronies) throwing each other through near enough every building in the once-prosperous Metropolis, and to apparently no avail. Frankly, I'm amazed there was anything left to save after this confrontation! And that's without even taking the impressive yet insanely destructive might of the Kryptonian 'World Engine' into consideration, which is doing its best to terraform the world as the aliens smash the crap out of it themselves. Suffice to say, I did not enjoy this half of the film nearly as much! Don't get me wrong, the special effects are as stunning as you could expect but somehow, even with all that going on, it still managed to get boring very quickly. Ultra-long action sequences can be fantastic if done well (see the Battle of New York in the first Avengers film for a great example of this) but this just got ridiculous. You can only watch so many skyscrapers collapse before you start to question not only the protagonists methods but the story-telling abilities of the filmmmakers as well. 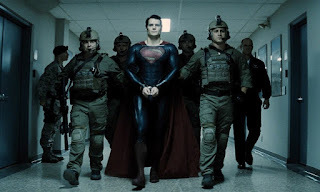 Starting over from scratch with a new Superman was always going carry at least a little risk, but it also gave the filmmakers so much choice regarding story and which direction to take. Reworking old stories seems to be all the rage these days but even this, if done right, gave DC the chance to hit the ground running. Sadly, in my opinion at least, they squandered it, instead choosing to show off their action and special effects prowess. This kind of thing is enough for some people who just want something loud and explodey they can be dazzled by on a Saturday night with friends, and that's fine, although they're likely to find the first half of the film boring. For most films fans though, and comic-book fans especially, it's not nearly enough. I suspect a second standalone Superman film will arrive at some point, I just hope it has a script for its entire length when it does. Six... is a really generous score for this plop. 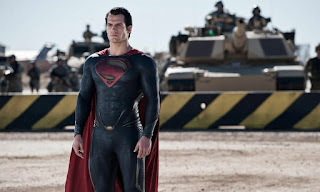 I watched it with my aunt as part of a marathon with the original Superman (1978), convinced that nothing could possibly be worse than Superman Returns. Boy did Zach Snyder prove me wrong. Man of Steel is loud, ugly, grim, and cynical. The Superman character is supposed to fill you with hope for the future, but this movie just filled me with an intense need to leave the theater as quickly as possible. Me, at the climax: "Thank you, Superman! You just saved fifteen percent of the city!" My aunt: "Well, there goes the other fifteen percent!"